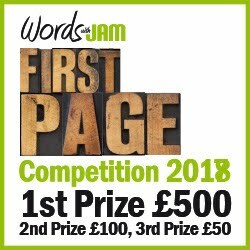 Words with JAM: FREE Christmas Prize Draw - 10 days left! FREE Christmas Prize Draw - 10 days left! 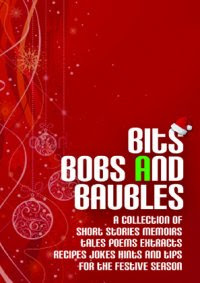 Quinn P ublications' first venture into the world of literature, was to produce a collection of work, compiled from writers all over the world, to be given to their loved ones this Christmas. Whatever that indefinable something is that makes Christmas special, you’ll find within Bits, Bobs and Baubles. From an unforgettable chilli experience to recipes of times gone by, from grannies getting revenge to heart-warming traditional tales, from daft odes to moving poems, from grown-up stories to those created especially for children, there is something for every member of the family. Words with JAM are pleased to announce they've got their hands on a copy of the book (which is pretty good going, considering only 125 copies are being produced). To celebrate the first issue being out for December, we are going to get the compiler to autograph, gift wrap, and stick a bow on it, and post it out to one lucky subscriber in time for Christmas. The winner will be announced in the first issue, and contacted by email for their postal address. 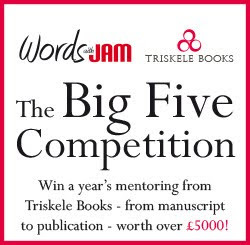 To be eligible, you simply need to subscribe to Words with JAM. Closing date: Saturday 21st November. Christmas Prize Draw Closes Tonight! Writing for Children - Successfully! Libraries: What's in it for me?